Thanks to a sweet inspiration and hard work by its owners, Dr. Michael Purdy and his wife, Gwendolyn (Gwen) Purdy, Island Princess has become one of Hawaii's top manufacturers of specialty macadamia nut products, luscious chocolates and unique gourmet confections. As president of Purdyco International, Ltd., Dr. Purdy oversees Island Princess Macadamia Nut Company, the 1,100-acre orchard and processing facility at Keaau on The Big Island of Hawaii, Island Princess manufacturer and distributor of Island Princess products, and Orchard Heights Winery near Salem, Oregon. Upon completion of his studies at Oregon State University, Dr. Purdy graduated from the University of Oregon Health Sciences Center with a degree in dentistry. Originally from rural Oregon, Michael and Gwen both grew up as members of large families in the small logging community of Valsetz, where the entire length of the main street was one mile and their four-year high school had a total student body of 29. In 1983, Michael and Gwen moved to Maui to begin a dental practice. Two years later, Gwen emerged as a successful entrepreneur in her own right, when she opened Maui's Best retail stores. That same year, the Island Princess brand was born when hand-dipping chocolates in front of their delighted customers became a special feature of the retail stores.The unique Island Princess chocolate treats were an immediate hit with visitors to Maui as well as residents. 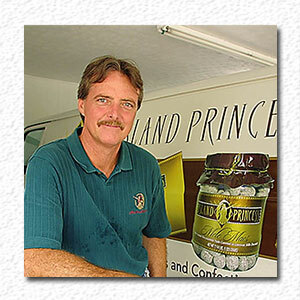 When candy production expanded into factory space, Michael could be found practicing dentistry by day and manufacturing confections by night, gaining the nickname "The Choc Doc".Island Princess gourmet products became a major draw to consumers in The Islands and beyond, prompting Michael to give up his dental practice in order to focus full time on developing the growing business. Due to the increasing need for a larger labor pool and more convenient shipping, Island Princess relocated to Honolulu in 1989.The next big step in Island Princess' growth occurred in 1998 with the acquisition of a macadamia nut orchard and processing facility, making Island Princess one of the few companies in Hawaii that grows, processes, manufactures and distributes macadamia nuts and confections. The Island Princess Orchard Estate, located on the slopes of Mauna Kea at Keaau on The Big Island of Hawaii is 1,100 acres of pristine farmland, with ideal natural conditions for growing macadamia nuts of the highest quality and with the richest flavor.In fact, dedication to quality, creativity and service are the keys to Island Princess success story. 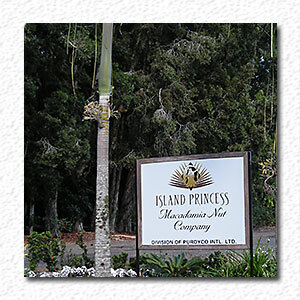 Our many loyal customers have come to depend upon Island Princess' trademarks of Hawaii-grown macadamia nuts, superior ingredients, innovative recipes and exceptional packaging.Don't take just our word for it. Island Princess Macadamia Popcorn Crunch was voted "the best caramel corn in the United States" by National Food Distributors Magazine. Our world-famous Mele Macs are a year-round best seller. If it were possible to stack all of the Mele Macs consumed in one year, they would extend from sea level to the top of Haleakala (over 10,000 feet in elevation), more than 20 times.With a strong work ethic, vast energy and dynamic leadership on the part of our owners, Island Princess continues to set new standards of excellence. A lovely Hawaiian hula maiden is our Island Princess. In our brand logo, she symbolizes the company's Aloha Spirit and Island Princess' origins and bond to Hawaii.Dressed traditional hula attire, she wears a ti leaf skirt with lei encircling her head (haku) and neck. Her wrists are adorned with bracelets (kupe'e) of local foliage. These natural materials sourced from Hawaiian soil are like the Macadamia Nuts from Island Princess orchards on the Big Island of Hawaii. 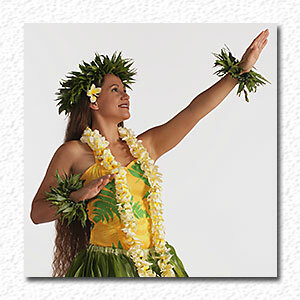 Our hula dancer is in a classic hula pose, representing the Island Princess tradition, a promise of excellence and quality in what we do and what we make. Looking forward, up to the heavens (lani), with her hands reaching towards the stars (na hoku), our hula dancer symbolizes Island Princess' constant search for innovation, improvements and growth.Of Hawaii ... yet global ... innovative ... yet classic. These words guide Island Princess, philosophies that are based on Hawaii's Aloha Spirit-the spirit of caring and sharing with our valued customers, our trusted business partners and our dedicated employees.